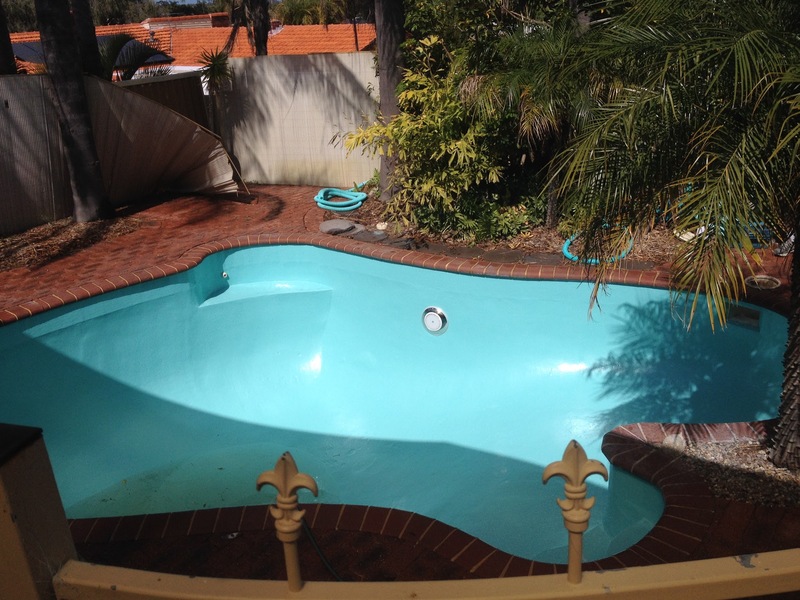 Top Class Swimming Pool Renovations In Perth! Is your pool in a rough condition or losing water? Are you delaying your renovations further because of extravagant prices? 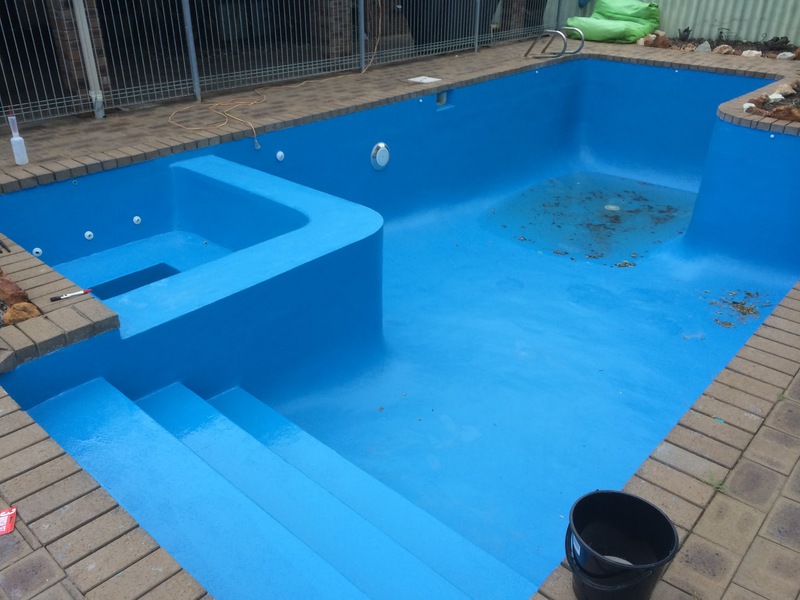 Est Pool Renovations will provide the best quality swimming pool renovation service for rejuvenating your swimming pool at a competitive price. So far we have done more than a 100 swimming pool renovations in WA. Our swimming pool renovation standards are of a high calibre and suitable even for the most meticulous client. Worksite is always cleaned in the end of the day and work is completed as efficiently and timely as possible. Each project is our sole focus until completion. Get your swimming pool fixed now! Contact us! Specializing in fiberglass on fiberglass reno's, concrete-fiberglass conversions, re-plastering, painting and tiling. Upgrade and mosaic-tile the entire pool now ready for summer! 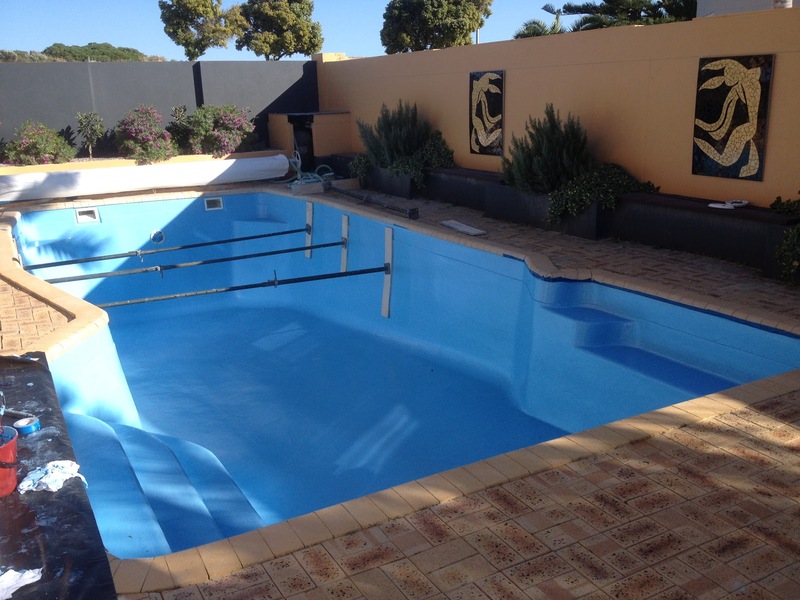 Est Pool Renovations provides high quality swimming pool maintenance and repair services throughout Perth! If your pool is more than 20 years old and hasn't been renovated, or if the pool has bubbles or black spot on the surface, you will need a full renovation. If the surface doesn’t show any bubbling or black spot, and the gelcoat has faded from chemical and high UV exposure, it is much more economical to re-gelcoat the surface avoiding re-fiberglassing. We use high quality "Luxapool Epoxy" products, considered to be the best on the market in WA. 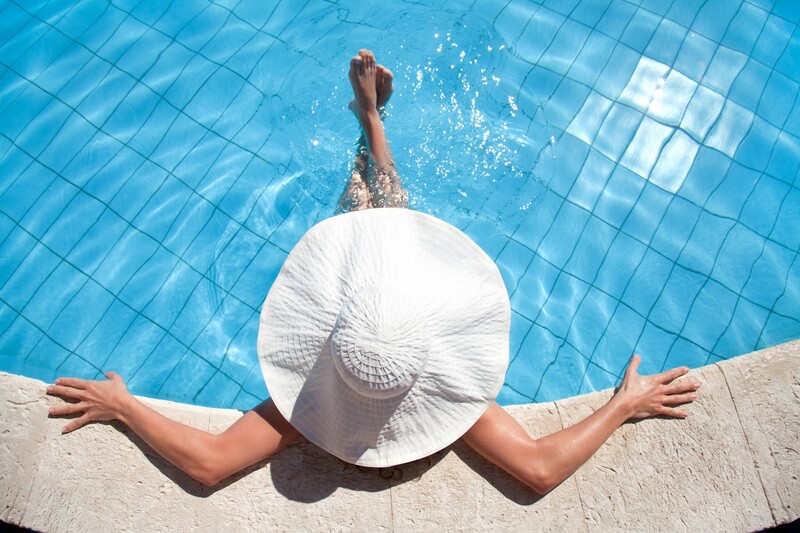 We offer an extensive range of pool safe tiles which are tested to be UV and chemical resistant. 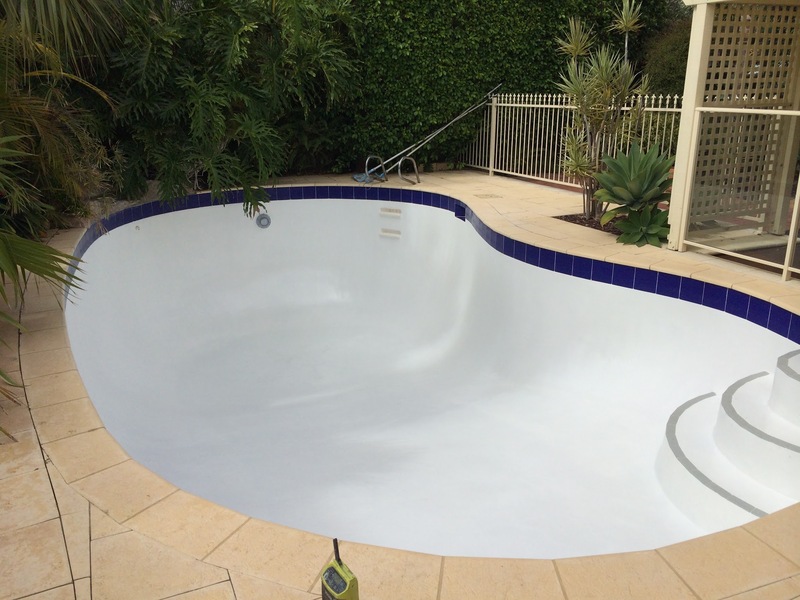 Concrete pool – replaster with new treds. After a significant period of time, unfortunately our pool plaster needed replacing. Knowing that it was going to an expensive job, we obtained three quotes. Est Pool Renovations was the most cost effective quote. When Karl came around to our house, he provided us with all the information that we needed and he was very flexible with the start time which was great for us. He also worked beautifully with our dog which may life easier. The worksite was tidy each day and he kept us well informed of the stages and what was going to happen next. He completed a professional job in an effective manner. Its truly so refreshing to find such a gem of a worker as Karl. He really is a perfectionist, super-meticulous and renovated our old tired concrete pool as if it was his own. We love our new pool and appreciated him pushing to get it ready for us in time for guests coming over from interstate. Right from the start Karl was responsive, professional, fair and realistic, seeking out and delivering the exact tiles I wanted from a photo i sent him to my work on the same day. I have during other extensive renovations on my home become increasingly frustrated with sales pitches, unreturned calls and jobs handed over to someone else without proper communication. Karl always responded promptly to my emails, texts and phone calls ,often late in the evening doing his own research with various specialists on the best way to move forward with various aspects of the job, We had a tired large 75000 liter concrete pool that's was in need of retiling, waterproofing , grouting around an adjacent rockery and a repaint. I changed my mind a few times regarding colours, different sealants and Karl patiently did the research to my satisfaction. He would work tirelessly sometimes up to 11 hours a day ( even after dark on the first coat of paint that was required ) and was prepared to come whenever weather was suitable. His humble quiet hardworking and "get down and do it" work ethic is second to none! It's just been so refreshing dealing with the owner of the business who also takes so much pride and ownership of the renovation. I just can't recommend Karl more highly and you don't need to look any further if you need a pool renovation! Thanks Karl for doing such a great job on our pool. Our fiberglass pool was in a very rough state completely white and with lots of black spots when Karl came to resurface it. We had some issues along the way but Karl being the perfectionist that he is solved them. If you want good advice and an honest hard worker you cannot get better than Est Pool Renovations and Karl. I would recommend Karl to anyone who needs a pool restored, the price is great and the quality is even greater. Karl, was polite, tidy and very thoughtful throughout our pool renovation. He took his time to ensure that the work was carried out professionally. We are very pleased with the outcome. My husband and I would like to thank you (Karl) for renovating our pool to a very high quality finish whilst at an extremely competitive price. 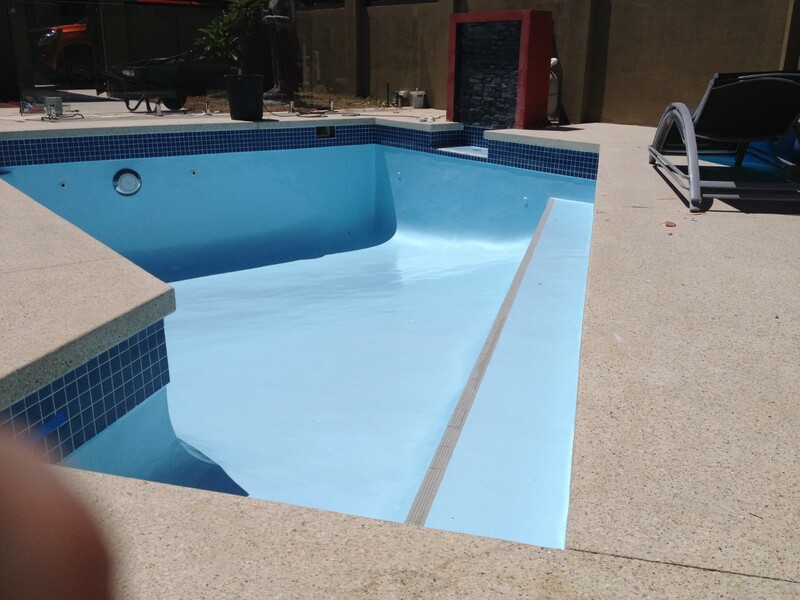 Our fiberglass pool was in a very poor state with cracks, black spot, numerous air bubbles appearing and a deteriorated color due to chemical and sun damage. Your workmanship and communication were top notch and we would not hesitate to recommend you to potential customers. We are now looking forward to relaxing in our ‘new and revived pool’ in the coming summer months and years to follow. Good luck with the business moving forward.